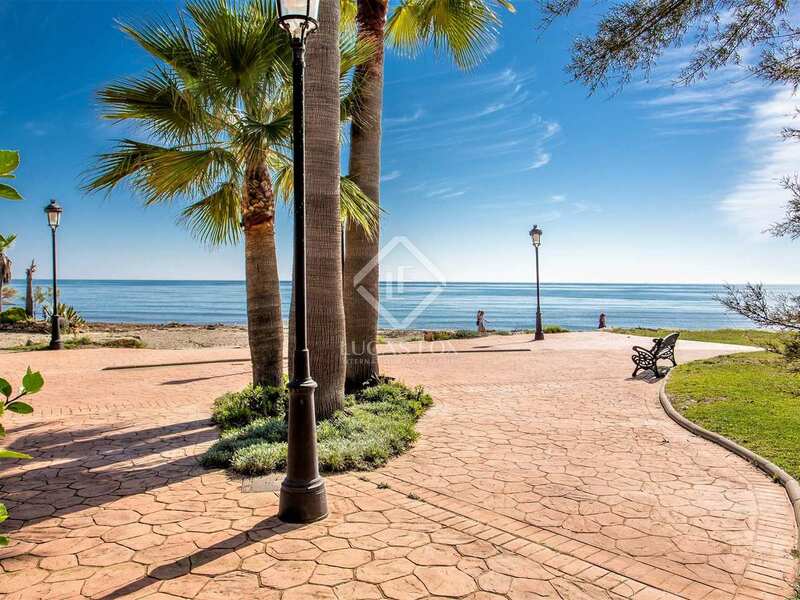 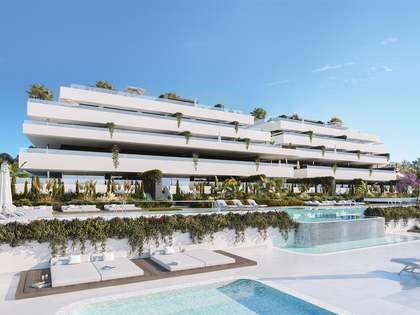 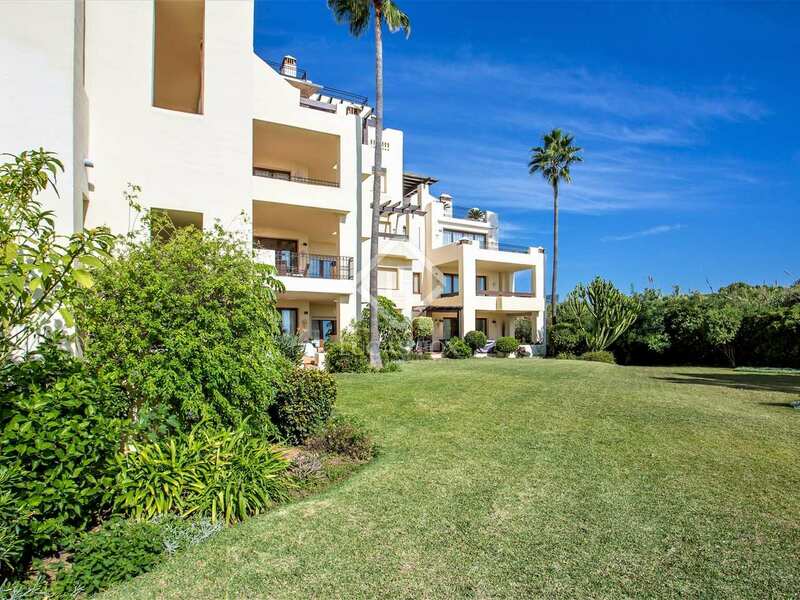 Beachfront apartment with a terrace and sea views, for sale in a luxury complex 10 minutes from the centre of Estepona. 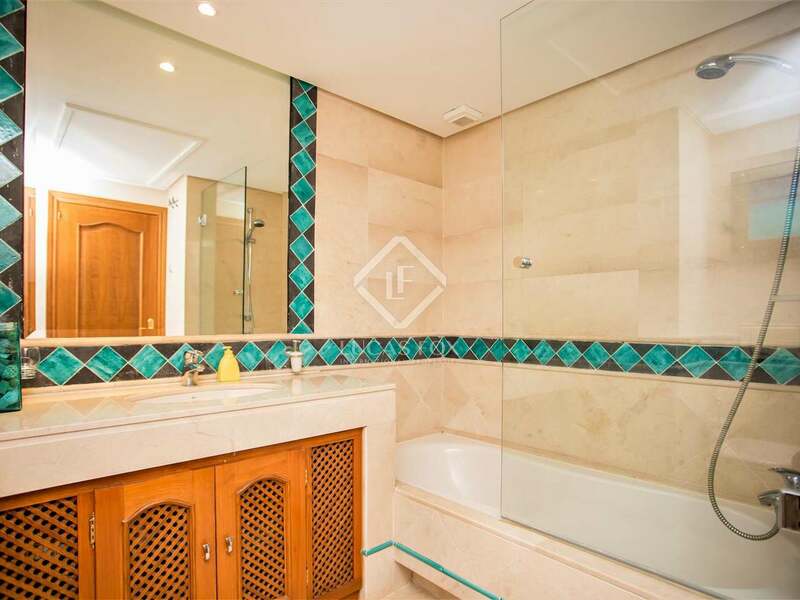 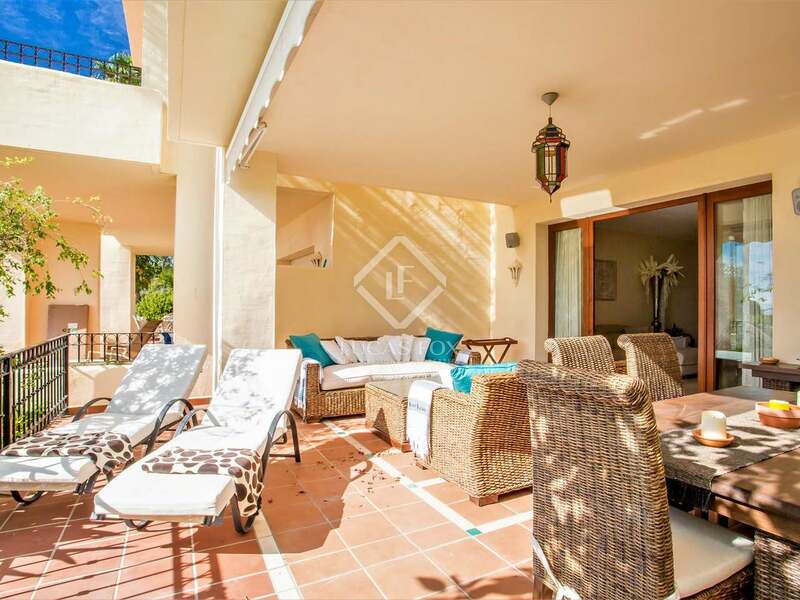 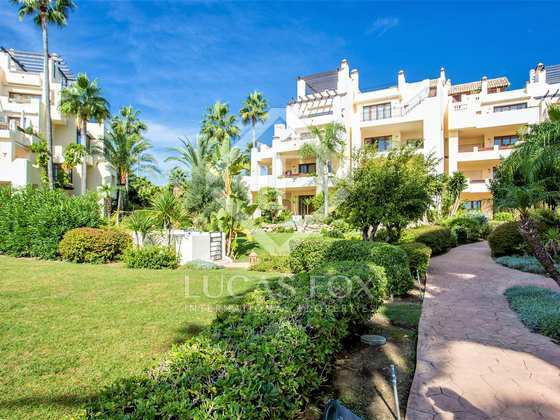 This excellent beachfront apartment is located within a luxury gated complex with top-class communal facilities including a pool with pool bar, a restaurant and manicured gardens with direct access to the beach. 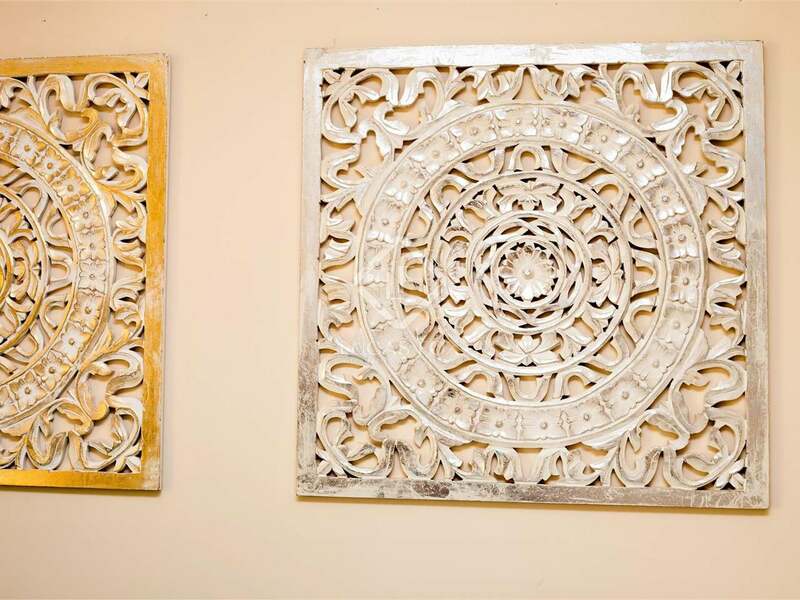 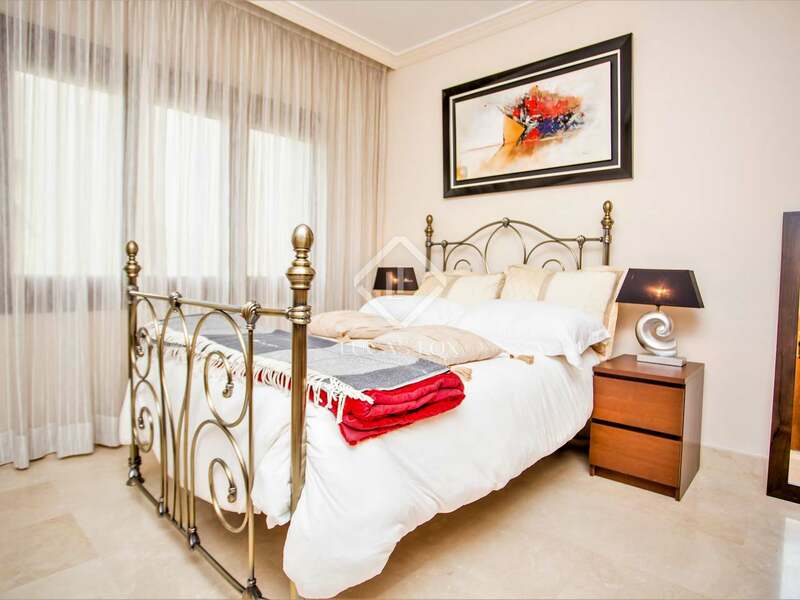 There is also 24 hour security for total piece of mind and a concierge service during the day. 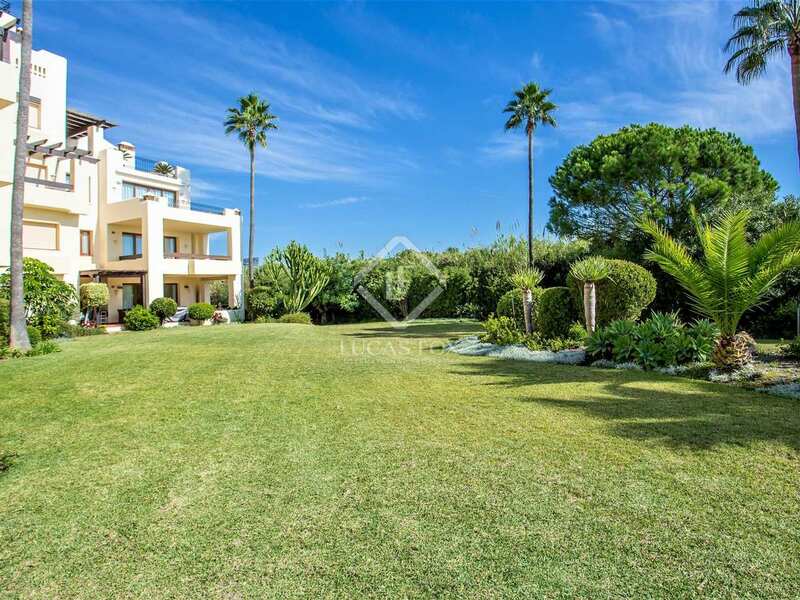 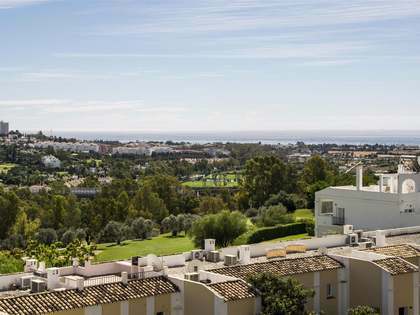 Just 10 minutes from the centre of Estepona and 15 minutes from Puerto Banus, it is close to all the amenities that these areas offer. 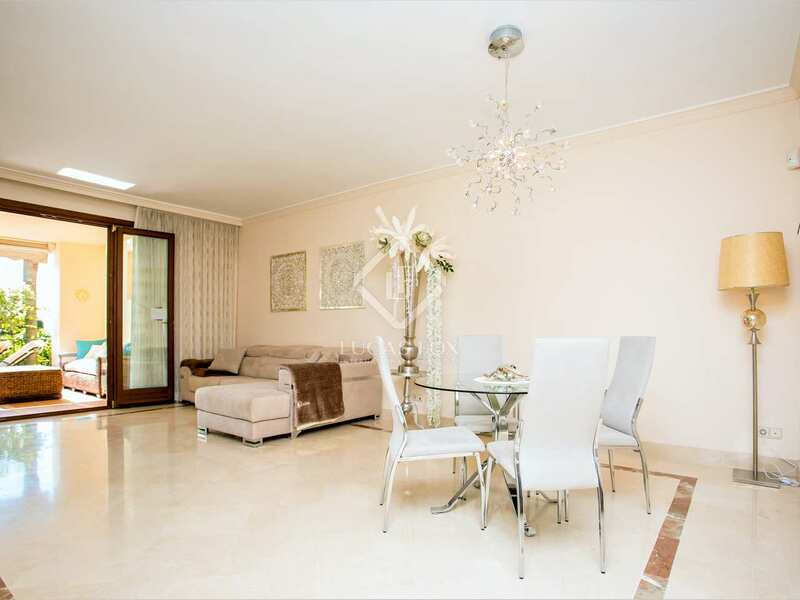 On entering the apartment an ample hallway leads to, on the left, the fully equipped, modern kitchen. 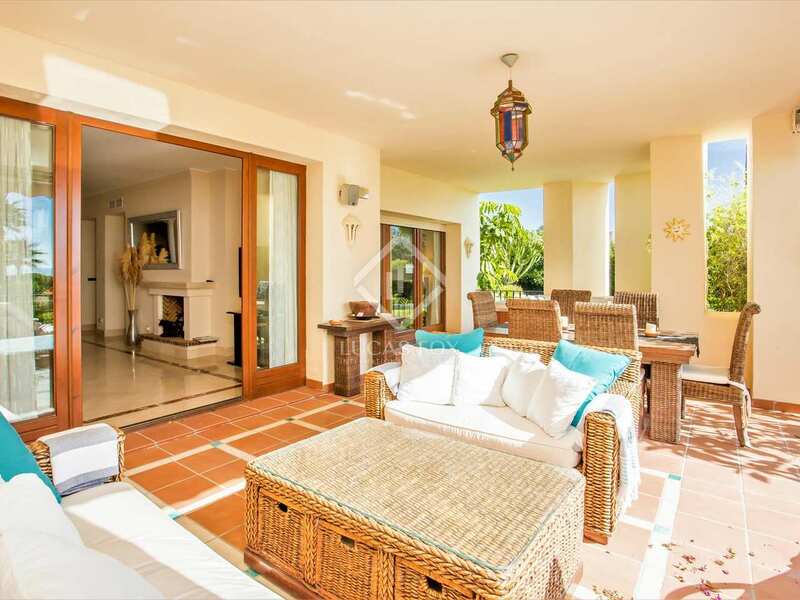 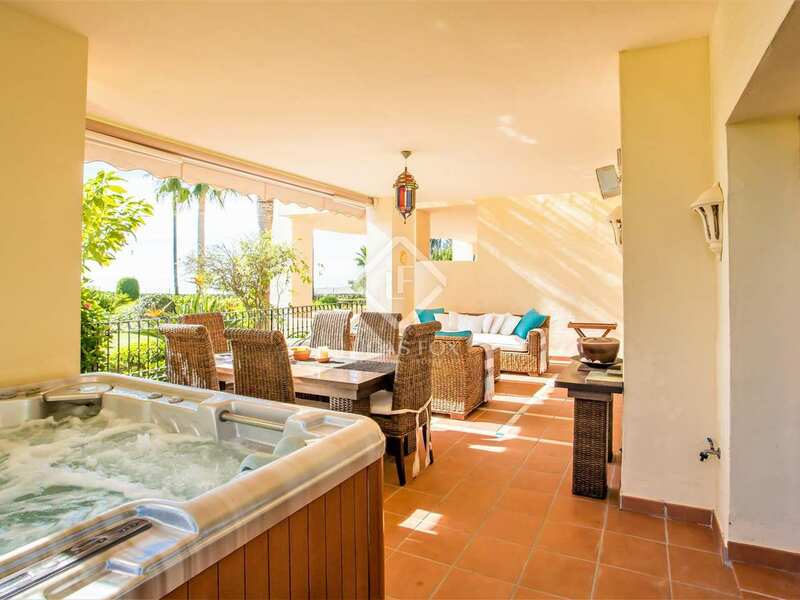 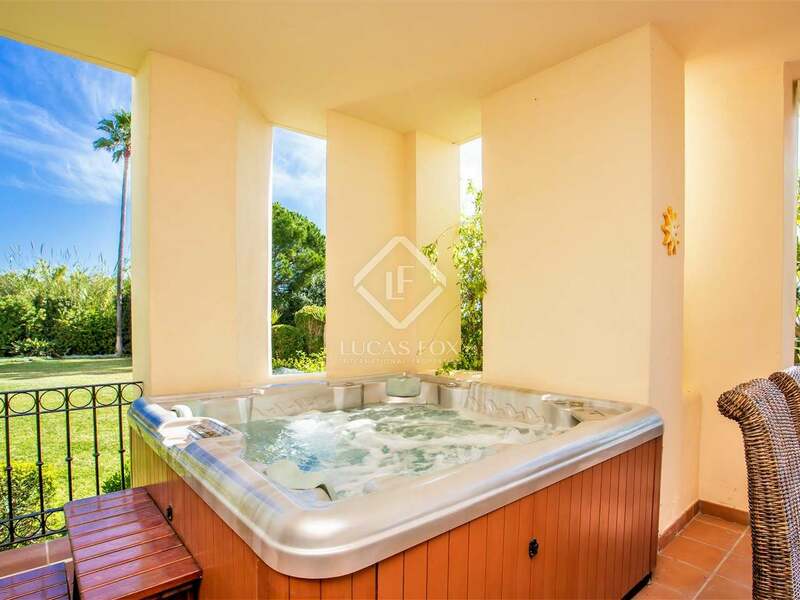 A spacious living area with a separate space for dining connects all the rooms in the apartment and opens onto a fantastic covered terrace with a jacuzzi from where lovely views across the garden and out to sea can be enjoyed. 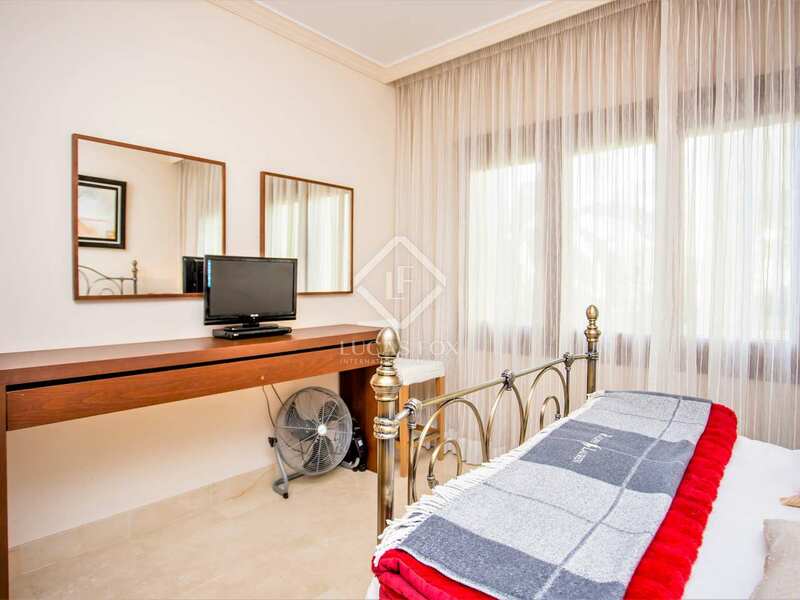 The apartment has 2 double bedrooms. 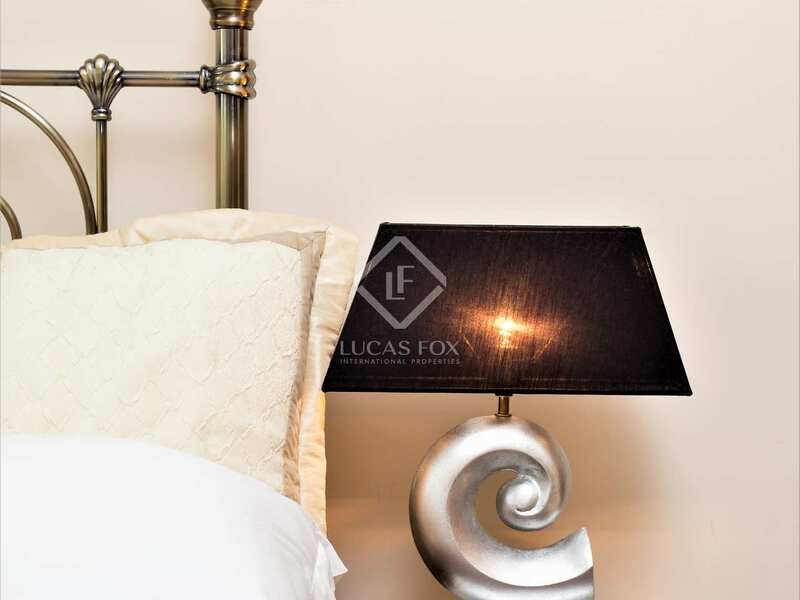 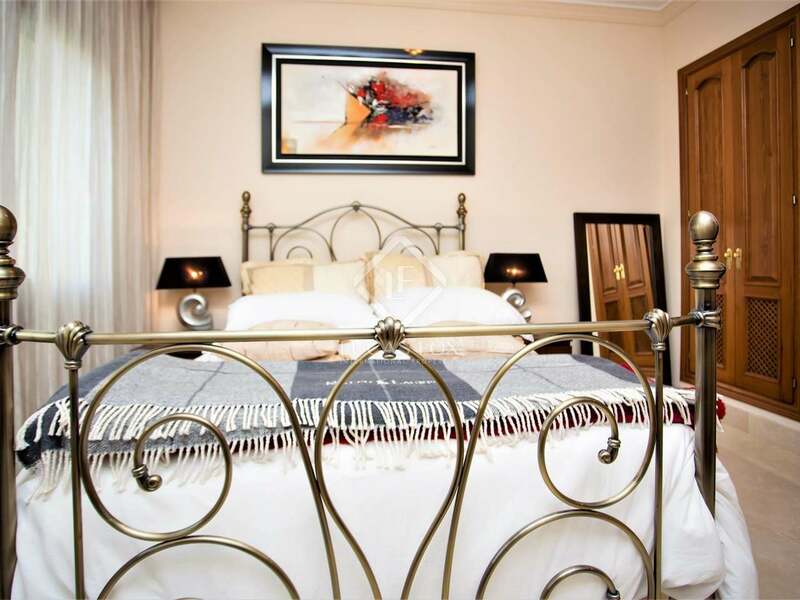 The master bedroom has direct access to the terrace and a large en-suite bathroom whilst the other bedroom faces the pool and has access to a smaller private terrace. 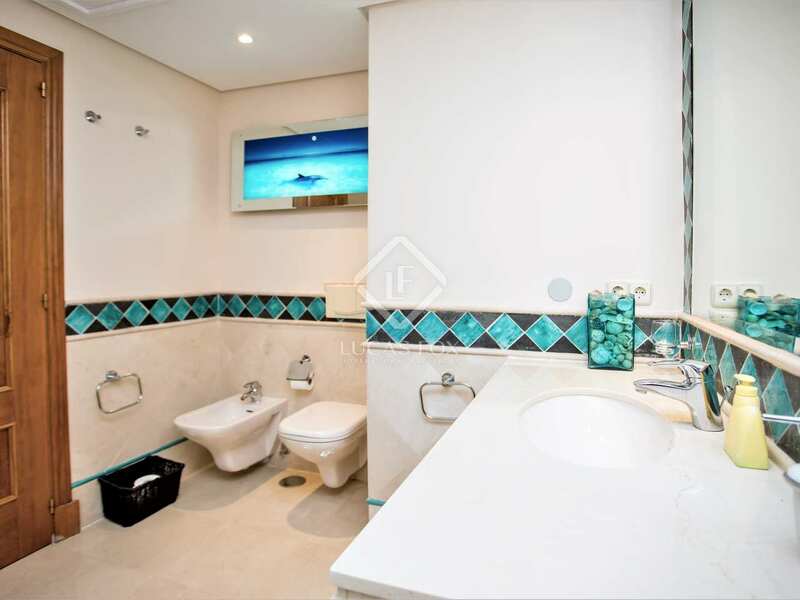 A guest bathroom completes the layout. 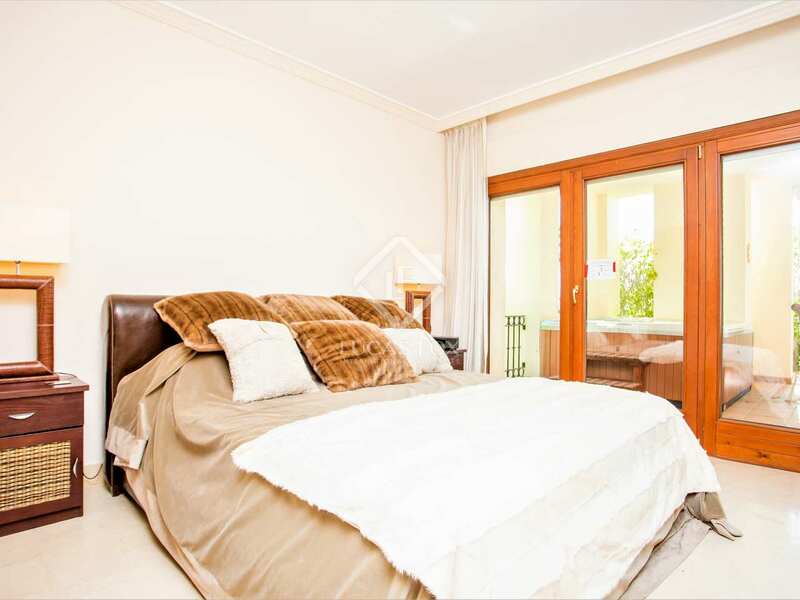 A private underground parking space is included as well as a guest parking space on the communal driveway. 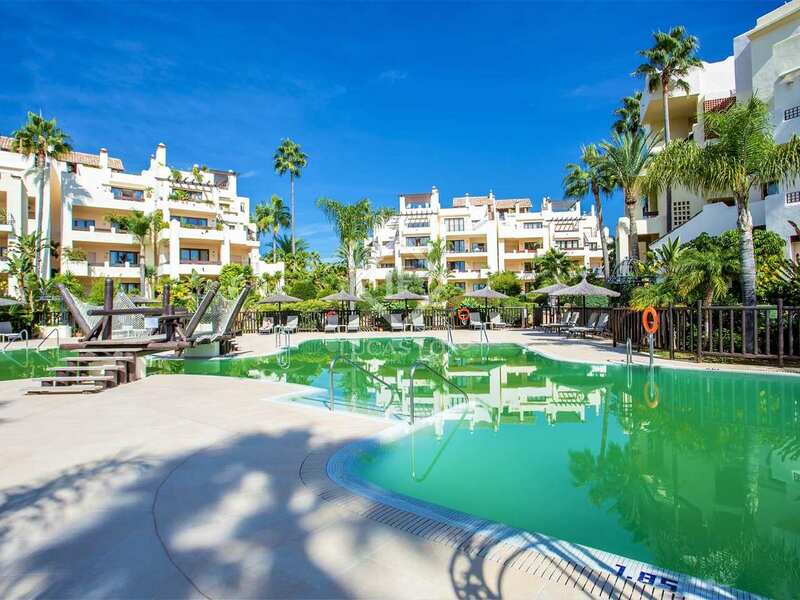 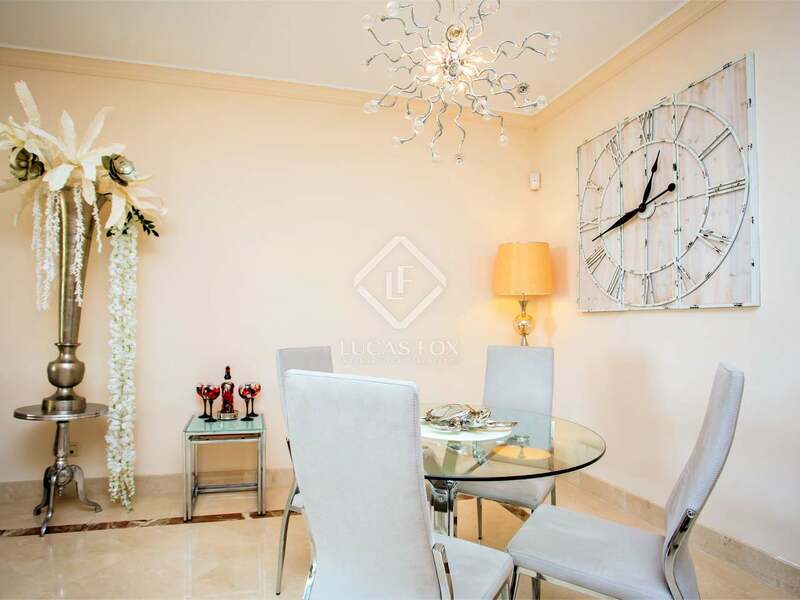 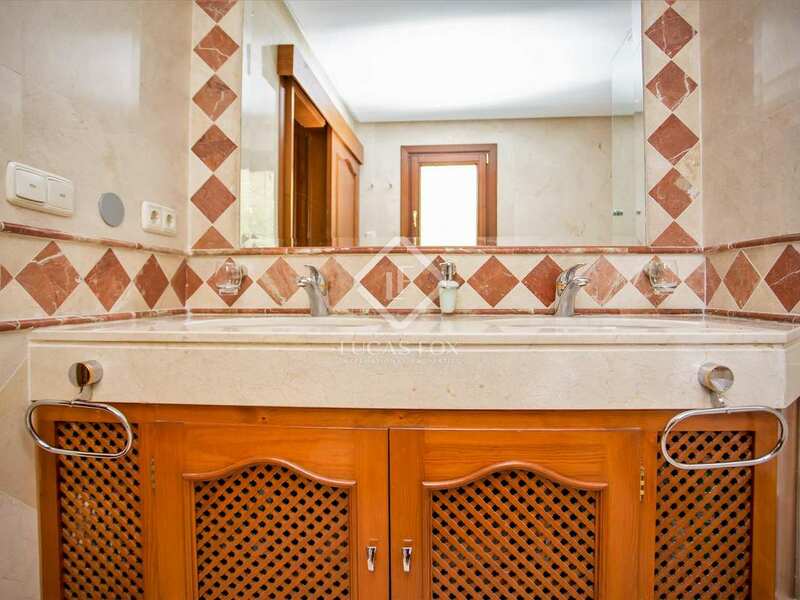 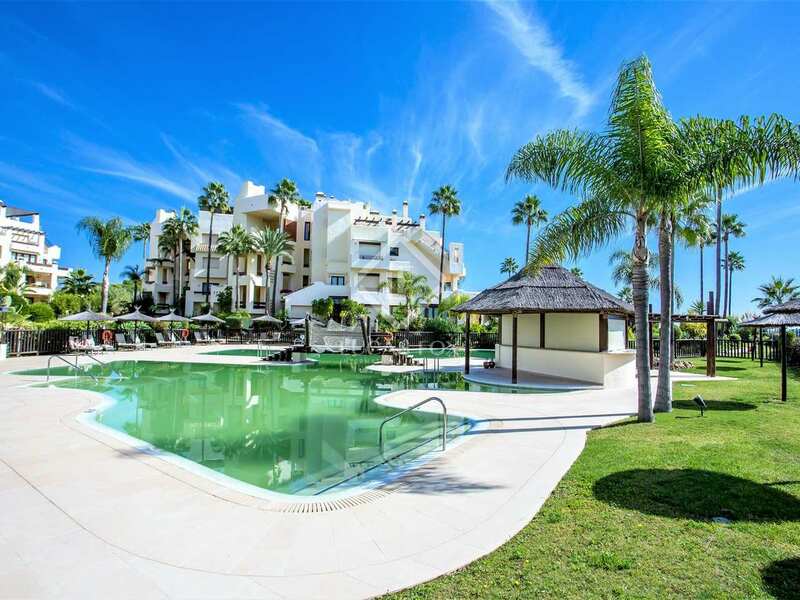 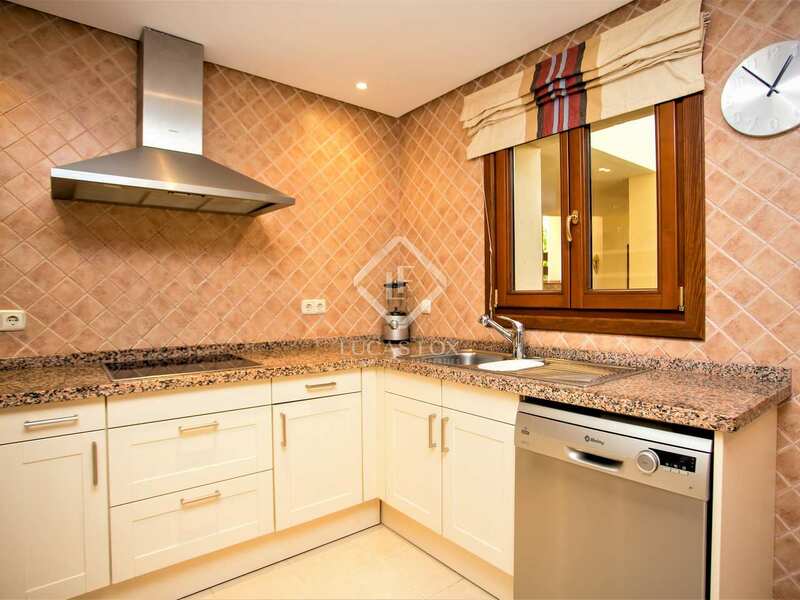 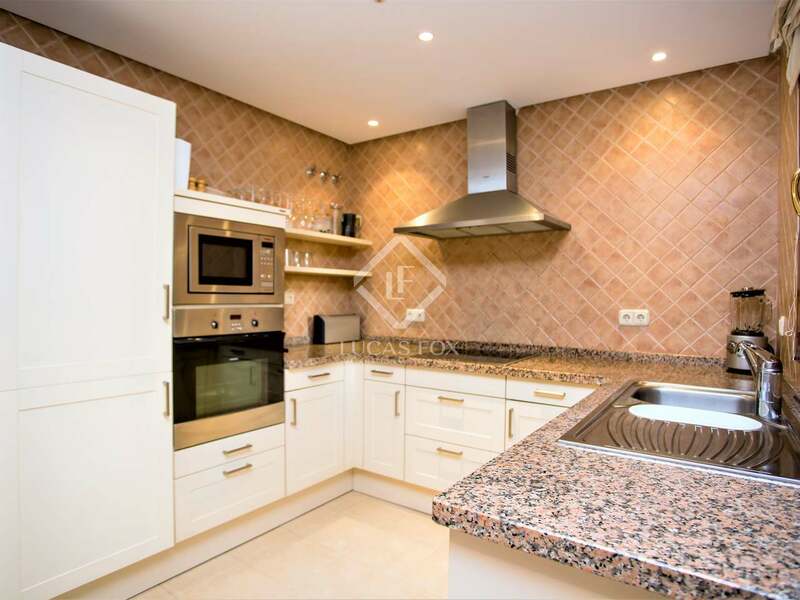 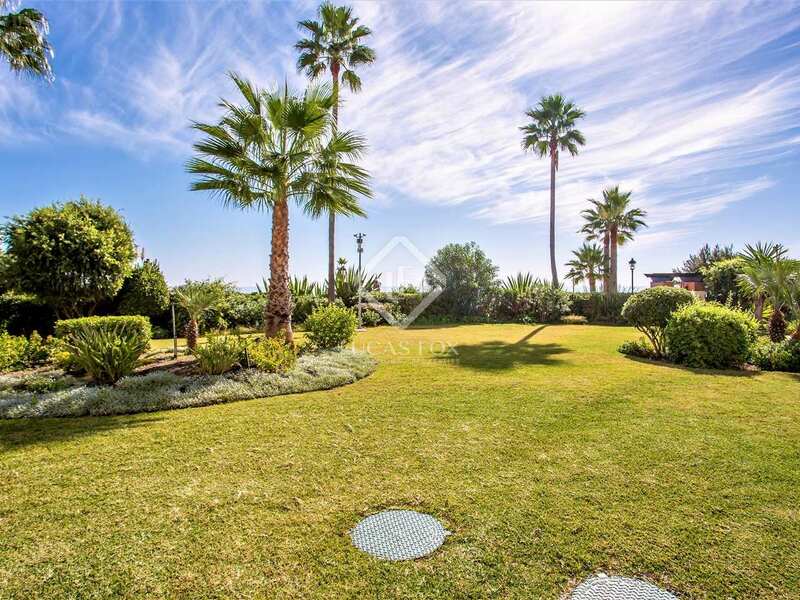 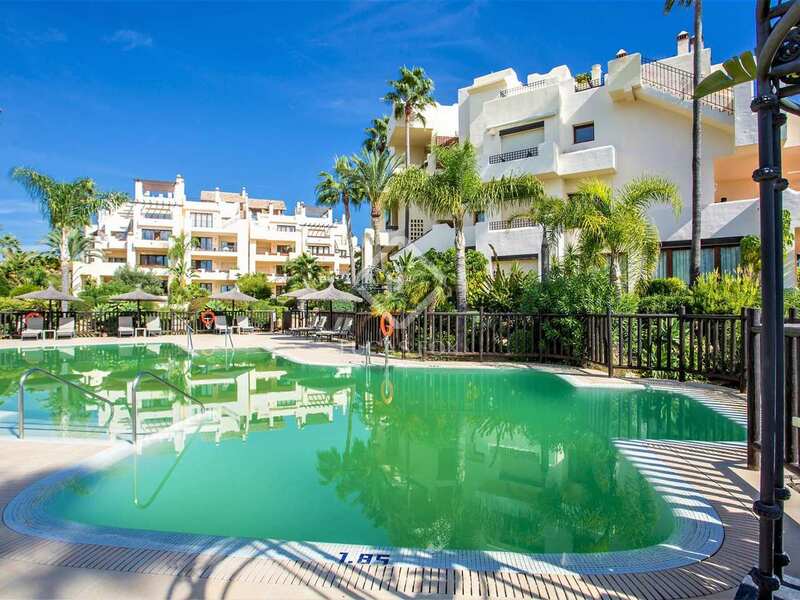 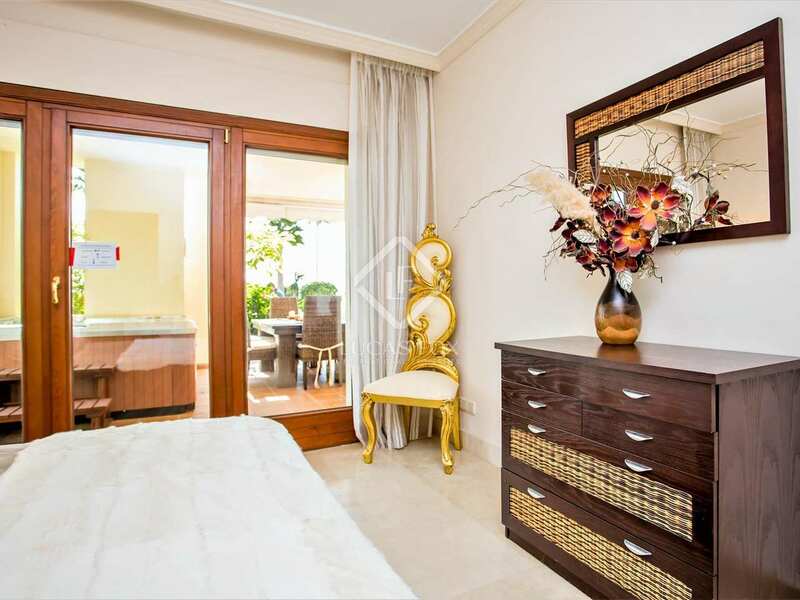 Apartment located in a luxury residential complex 10 minutes from the centre of Estepona and 15 minutes from Puerto Banus with all the amenities they offer. 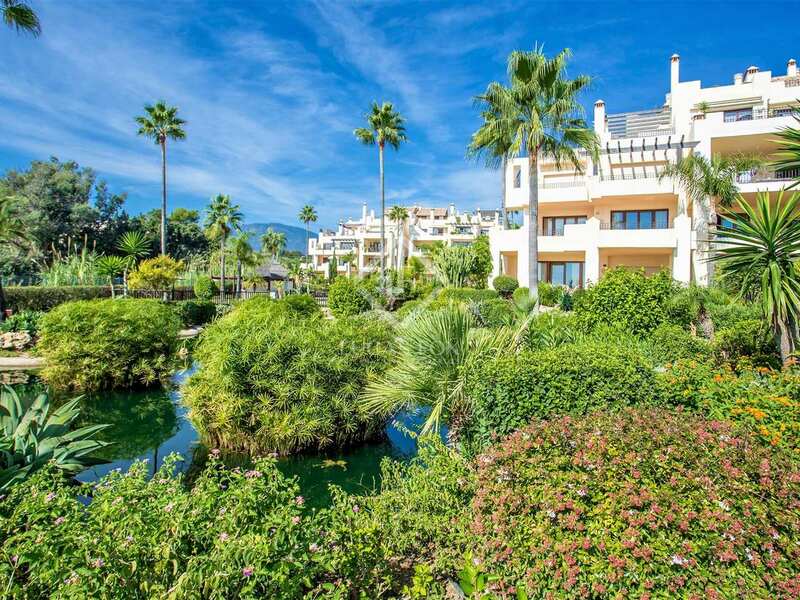 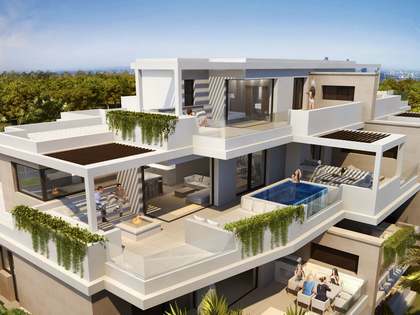 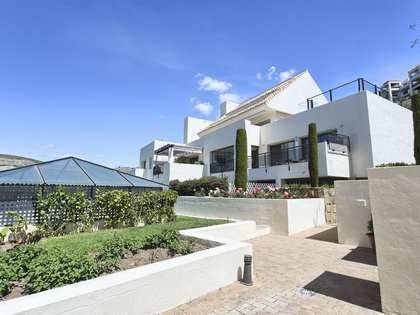 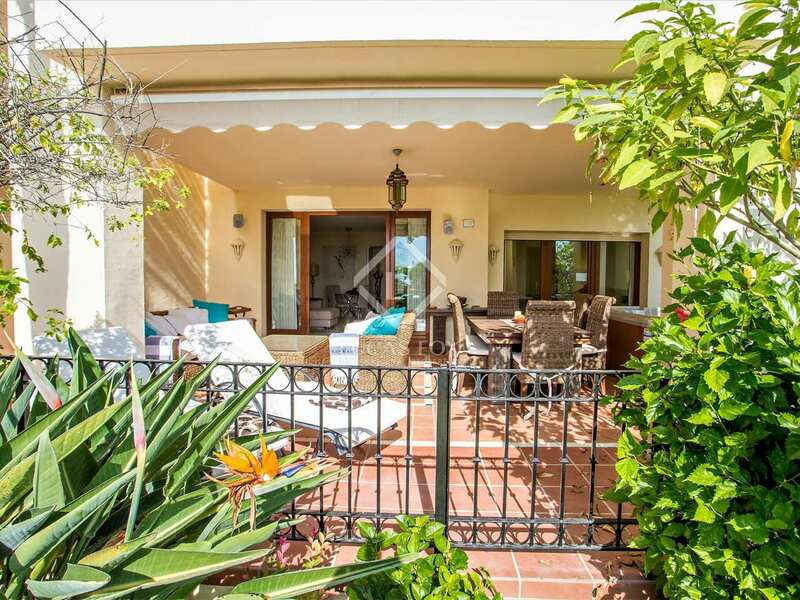 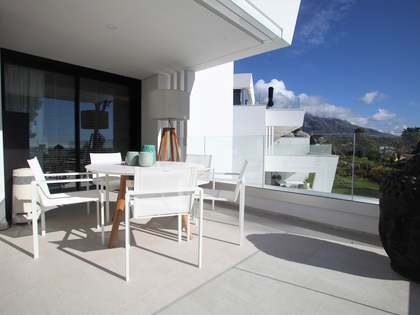 There is direct access to the beautiful beaches of the Costa del Sol.